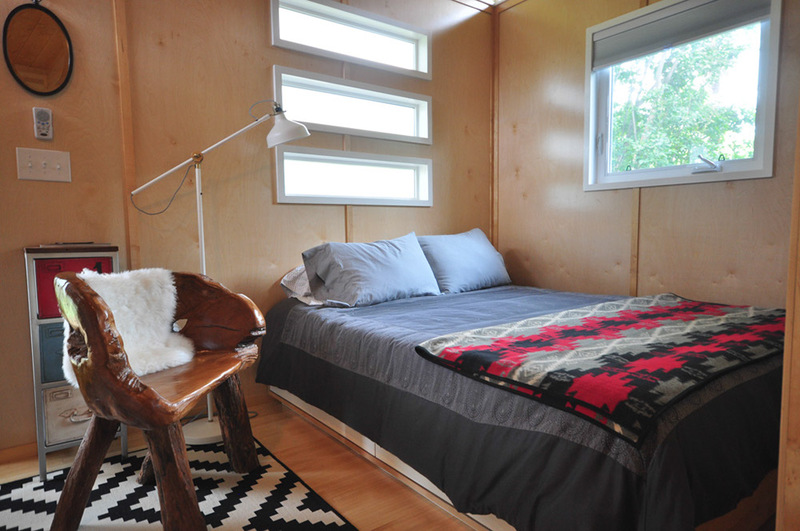 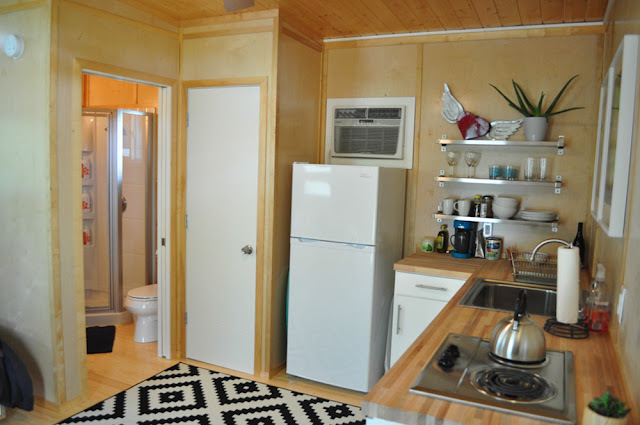 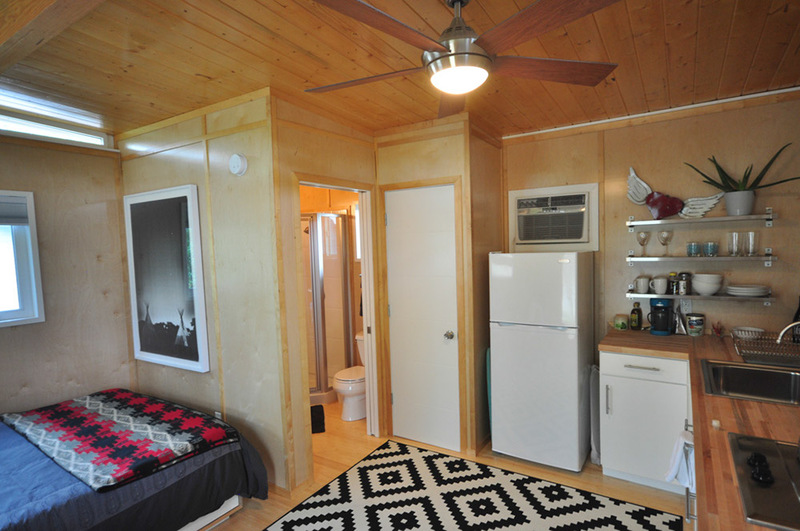 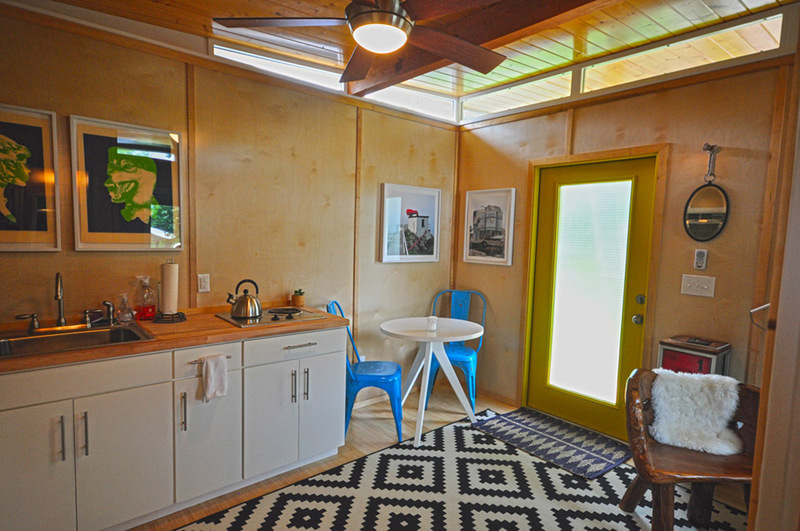 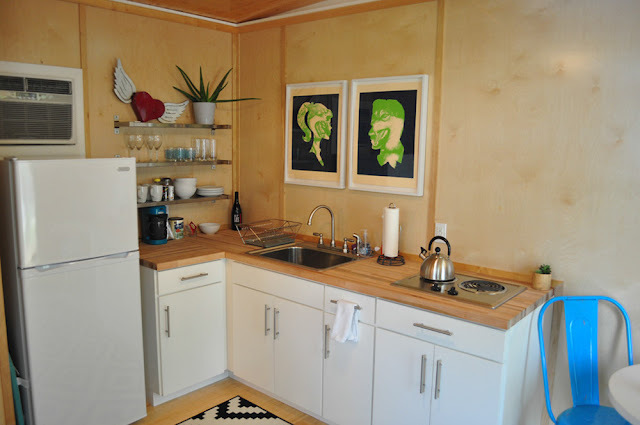 This cute, modern cabin measures 14' by 16' for an interior size of 224 sq ft. Despite its size, the home comes fully equipped with everything you need to live comfortably. 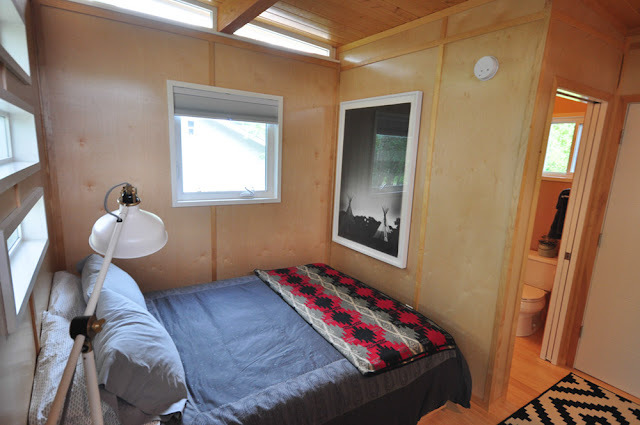 There's a full kitchen, a full bathroom, room for a queen-sized bed, and a relatively large front porch. 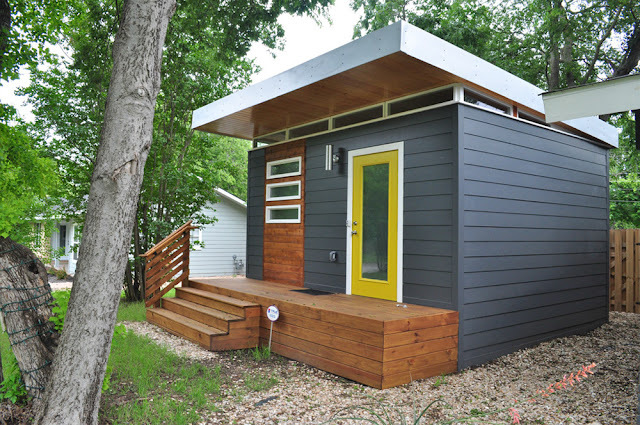 The home is sold by Kanga Rooms, a company that specializes in small, prefabricated structures. 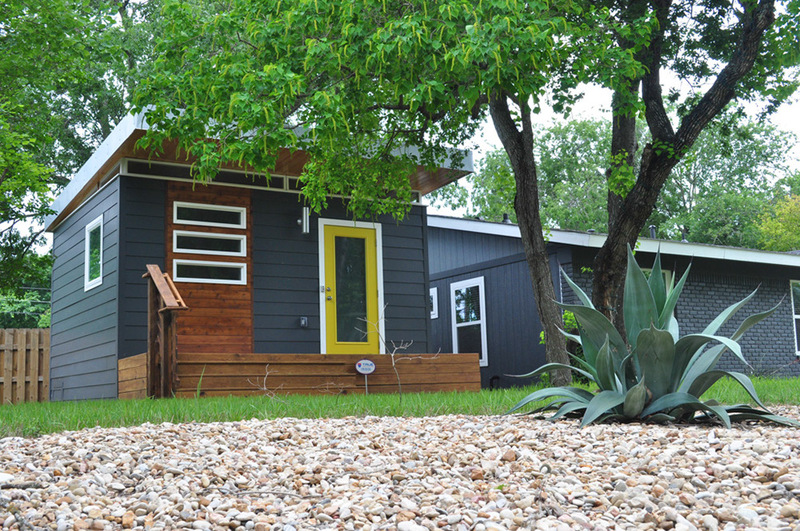 The homes are built and shipped out of their Waco, Texas, based factory. 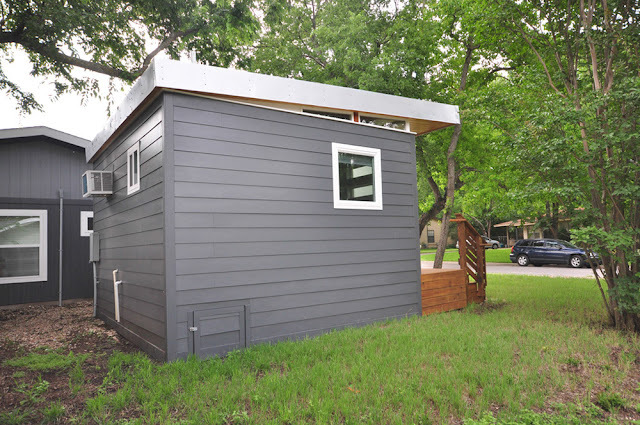 If you live in Texas, Kanga Rooms can install your home for you, depending on where you live in the state. 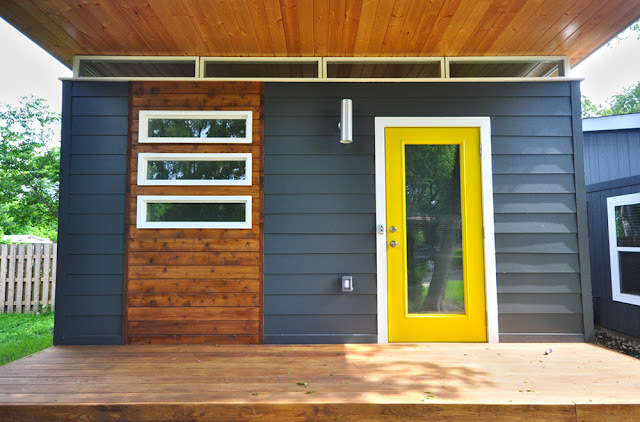 Outside of Texas, the home will be shipped to you as a kit for you to install yourself.